Selling your business needs careful planning, strong strategizing and proper implementation. It is a complex undertaking and requires delicate handling. There is a general misconception that starting a business from scratch is the toughest job in this world and selling one will be comparatively easy. You are so wrong as nothing in this world is easy nor setting an organization or selling to someone so that you can avail yourself of maximum benefit. Selling something that you have given your heart and sweat to is never simple or easy. It can prove life-changing hence be 100% sure, then look at current conditions, your prospects and come to a viable decision. Keep your eyes on the future and think ahead as a good entrepreneur should do. The first question a potential buyer is going to ask is the reason for selling your business. You need to prepare the answer beforehand to maintain your credibility in professional circles. Your company might not be making as much profit as was expected but you cannot share this fact with anyone hence decide an appropriate answer if you are looking for ways to sell your business. Other common reasons for this action can be retirement, illness, disputes with partners, overwork and even because of the monotonous lifestyle which makes it boring for you. The timing matters a great deal if you are looking for ways to sell your business. Any random act that you have not thought through will lessen the value of an organization and obviously fetch you a less price. Make sure that you plan your actions properly once you start thinking of selling. Give yourself at least a year in advance to prepare for this step so that you can maximize your profits by doing the needful. Try to develop your business structure by improving your financial records and showing a strong and powerful customer base in the books. People are interested in a company when it has some major contracts with it and has been showing regular income and profits. The best time for selling a business is when it is at peak because you can set the terms in accordance with your wishes. Are you selling the shares of your business or just the assets is an important question that you should know before you decide to look for ways to sell your business. Remember there is a major difference between the two options. If you are interested in selling the shares of your business the buyer will have to assume the responsibility of all the liabilities of the business. It includes trade payables and tax payables even if you did not disclose it during due diligence of your company. If the buyer is only interested in the assets of the business then the liability remains with the previous owner. The potential buyer will not have to deal with any skeletons in the cupboard nor any potential liabilities. Determine which aspect is beneficial for you and your company and then decide to follow that path. During an inventory, a seller has to provide all the necessary information. 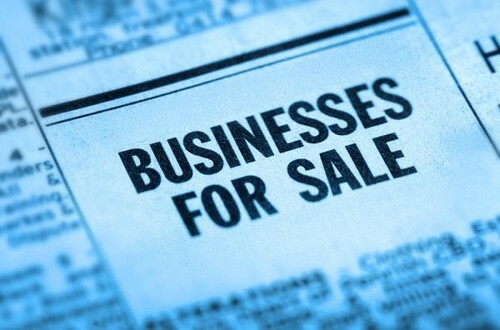 Prepare a list of your assets if you are looking for ways to sell a business. Which of the assets are to be included in the sale, how old are the equipment and its current valuation should all be noted down. Determine the ongoing profits of your organization and include it with the documents you have prepared. All these actions will help you in understanding the value of your company so that you can have a probable estimate of the amount you want to sell the business. 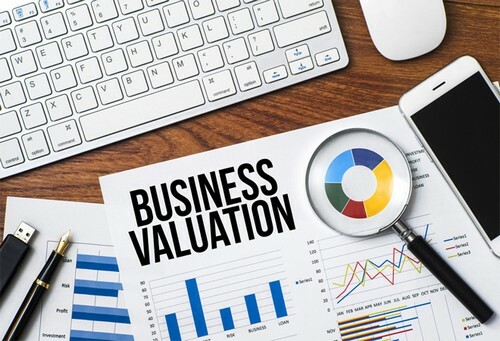 The actual worth of the business can only be determined after a complete business valuation. It is important to decide the worth of your business if you are looking for ways to sell your business. A third-party is the best person to determine the actual value of the company. There are several reputed firms involved in reviewing business companies for a fee. The review will include inventories, bills receivable, sales, assets, outstanding debts, and future opportunities. You can hire a business appraiser to get a proper valuation. Remember selling a business is also dependent on the location of the company, current market demand, and industry trends along with overall financial condition. The independent appraiser will submit the necessary papers with a detailed explanation about the actual worth of your business. This document from a trustworthy appraiser will bring credibility and can help both parties to determine the base price for negotiations. Prospective buyers are looking for transparency and hence contemplate every action before making a decision. It is important to avoid red flags and clean up your financials if you are looking for ways to sell your business. Work with your accountant and make sure that tax returns and financial statements for the last three years are in order. Ensure that all the business income is accounted for in the statements. Take the help of an independent appraiser and get his report about your financials in advance. You must prepare a list that will show the equipment being sold along with the business, contacts, about supplies, sales transactions, and current lease. Make copies and file them along with the appraiser’s report. In order to present your business entity in a favorable light provide a report about its operating manual. If you are looking for ways to sell your business you must take some steps to increase the value of your business entity before advertising about the fact in the market and finding a buyer. If anything for instance machinery is broken fix it. Protect the property that you consider intellectual property by filing for copyrights, trademarks, and patents. Maintain a proper record of the operating process and take steps so that you can minimize expenses and increase revenues to show good profits. Tighten any loopholes by cutting down on staff that is not needed and clearing any debts. Every step counts and hence follow them to increase the value of your business. 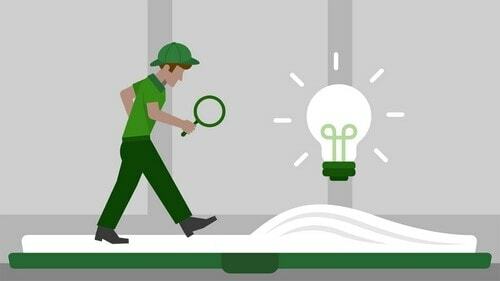 A blind profile is a single-page document that will tell about the important facts and information about your business without revealing its business identity. A selling memorandum is a detailed prospectus that is sent to buyers who are serious contenders. It includes information about secured patents, history of your business, full disclosure about the employees, their job profile, experience and salary, information about customer base, facts about company-owned or leased equipment, operating manual and annual board meeting details. The probable buyers must first sign a confidentiality agreement as the document has details that can prove harmful for the business if it falls in the wrong hands. Both the documents have the ability to attract serious buyers hence create both blind profile and selling memorandum if you are looking for ways to sell your business. 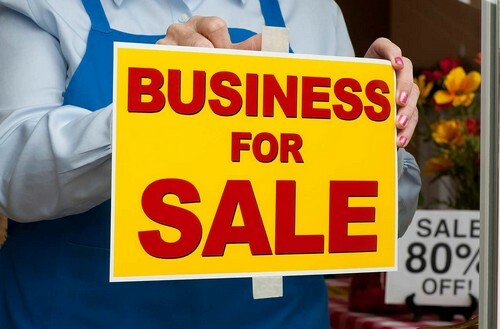 A business owner has the option to make all the moves on his own if he is looking for ways to sell a business. 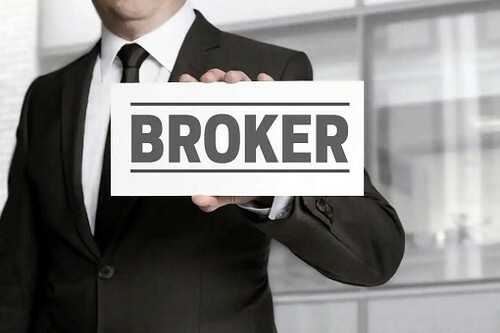 It will save a lot of money that you would have to pay for the business broker. But there is a downside to it also. You will have to do all the related grunt work yourself. Better consider outside help and find a business broker. Yes, he will charge a commission but will prove a blessing. In some cases, a business broker is also the one that offers a business valuation of your property. He already has a large network of clients and prospective buyers. He can tap the local and nearby market more efficiently than you for suitable listing and locating probable buyers. Finding buyers when you are looking for ways to sell your business is no mean feat and trying to find the right one is even more of a challenge. Take help of your friends, family members and acquaintances to advertise about the fact besides advertising via local business magazines and newspapers. You can take help of business brokers, real estate agents, online advertising, industry contacts, and your clients and customers to notify everyone about your decision to sell your business. Once you have a few prospective buyers it is better to keep the process moving. Shortlist a few you feel are genuine in their efforts and can meet your demands. Never ever rely on one as you never know what the future holds. Sometimes a deal falls through without any rhyme or reason at the last minute hence you must have few choices to fall back on. Stay in contact with all the buyers who you consider good even if you are in talks with one. Make sure about the validity of their claims and whether a buyer is sincere or not if you are looking for ways to sell your business. You cannot just give out sensitive information about your business to others as it can cause serious repercussions. How can you be sure that he is not an agent of your competitor and the information cannot destroy you if it falls in their hands? Verify the name and contact information of the potential buyers, information about their business or employment, the reason for their interest, are they pre-qualified for financing the business entity and are they serious in their efforts. Once you are sure of their intentions you can hand out the necessary documents to them. Negotiate the sale if you are looking for ways to sell your business. It is important that you provide a true and accurate account of your operations along with financial statements and all the documents. Half-truths and lies are considered misleading and can ruin your reputation in the market. You will need to negotiate on several points like the selling price, settlement period, deposit amount and arrangements for existing staff. Make sure the buyer has the ability to meet your financial goals and work out the details with your attorney and accountant. Leave a bit of room for further negotiations and think about the sum after which you will not compromise. Once you are clear in your mind you will be able to take better decisions. It is better to put all the agreements in writing as it will keep both parties safe from any hassles later on. 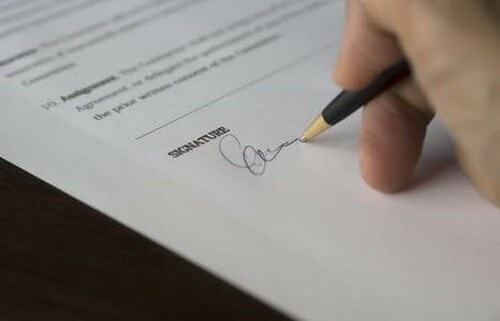 Make sure that the buyer signs a confidentiality agreement so that you are protected from any leaks. Remember to think of greater good if you are faced with a dilemma. Sometimes your competitor is the one who is interested in acquiring your business and you might have had a bitter relationship with him in the past. Do not let emotions get in your way and hamper the deal if you are looking for ways to sell your business. Think of him as just a prospective buyer and work accordingly. You need the best possible price for your business and it does not matter who pays for it. Chill, be cool and let nature take its course. Get the purchase agreement in escrow if you are looking for ways to sell your business. This will protect you if the buyer suddenly decides to walk away from the agreement. It includes depositing earnest money into the escrow account during the time the potential buyer performs his due diligence and arranges the finance or his purchase. If it is you who walks away from the agreement and refuse to honor it the potential buyer keeps the money and if the buyer walks away then the money remains with you. Once you decide to sell your business it is important to prepare the final documents. It will include security agreement, assignment of lease, a sales agreement and a noncompeting agreement. The sales agreement includes assets, names of business, buyer and seller, list of inventory, terms of the agreement, purchase price, payment terms, asset allocation, broker fees, warranties and date of closing. Make sure all the papers are in order for a smooth sale. It is your employees that have helped you in running the business successfully hence you owe it to them to guarantee their future. Make sure you are clear with the prospective buyer about your decision regarding the employees. Give your employees the chance to make up their mind and try to fix terms so that interested employees can stay with the business. If employees are ready to continue after the sale of business give the necessary information about them to the new buyer. Make sure that you pave the way for smooth settling of both new buyer and your employees so that the business can continue to run smoothly. You have been successful in your endeavour to sell your business. Take a breathing space and relax. Give yourself a few months to process and determine your next step. Do not be in a hurry to spend your profits before thinking things through. Create a plan and determine your financial goals by speaking with financial consultants and professionals. Sometimes taxes are associated with a surge of excess wealth hence make sure to gather relevant information. Focus on your life after the sales and enjoy life to the hilt. Selling a business in accordance with your wishes is a huge complication. It is dependent on the current market and the reason for your decision. Always think twice before committing to it because one should always reconsider and think of the pros and cons beforehand. The most viable buyers are either partners or someone in the company who has the means and desire to buy and operate it. Most of the times the owner gets an offer from an outside source that is too tempting for him to refuse and it is then that he makes this decision. Selling a business is very stressful and time-consuming. You need a good team in your corner of business advisors and lawyers to complete a sale successfully.